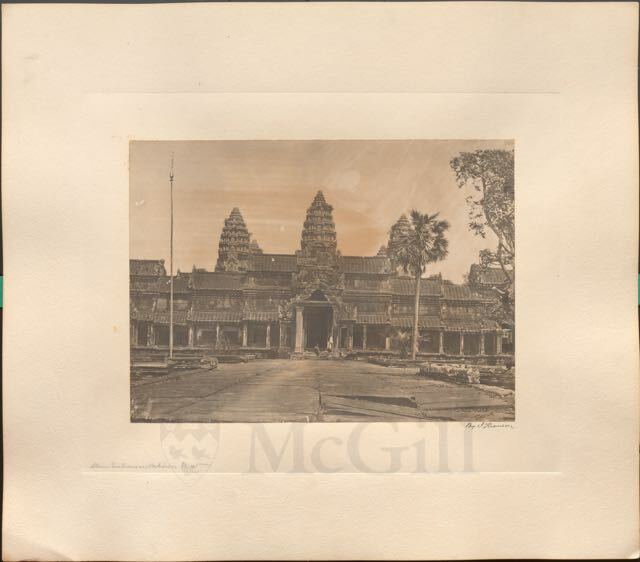 I spent the winter semester in a tucked-away part of Rare Books and Special Collections (RBSC) processing a collection of late 19th-century travel photographs as part of my practicum towards a Master’s in Library and Information Studies. Most of the photographs in the collection are unidentified, but a selection bear signatures of their photographers, including Antonio Beato, Francis Frith, and Samuel Bourne, while others carry donor markings. Recently, a donor name caught the attention of Dr Virr, Head of RBSC and Curator of Manuscripts. 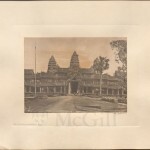 While showing him a collection of Cambodian photographs, he recognised one of the names on the donor label. The collection had belonged to Anna Leonowens, of King of Siam fame, a Victorian widow who worked as a governess at the Siamese court in Bangkok, teaching English to the king’s many wives and 87 children from 1862-1868. 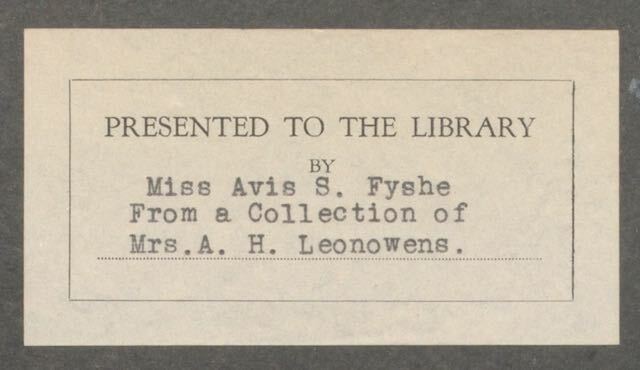 After a bit of digging, I discovered that Avis S. Fyshe, the actual donor of the photos to the library, was Leonowens’s granddaughter. Avis Selina Fyshe was born in 1886 near Halifax, Nova Scotia. In 1897, she and her family settled in Montreal, and we know Fyshe attended Royal Victoria College in 1903-1904. After her parents died, Fyshe was her grandmother’s caregiver after her stroke until her death in 1915. Later, Fyshe lived abroad and became an artist. She studied art at the School of the Museum of Fine Arts in Boston, as well as illumination and lettering in England, Germany and France. 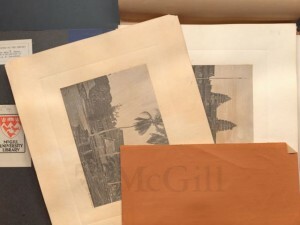 In 1933 she was back in Montreal, where she was active in the Montreal and Canadian artist communities and designed bookplates and Christmas cards. Think Rare Books and Special Collections is just about beautiful things? 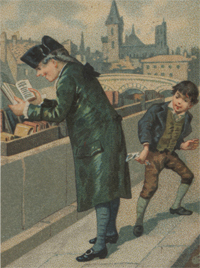 Well think again – rare book libraries have long been central to the preservation of testimonies, facts, and reflections central to social arguments of all kinds. This morning, singing of the Internationale erupted on the Montreal metro. 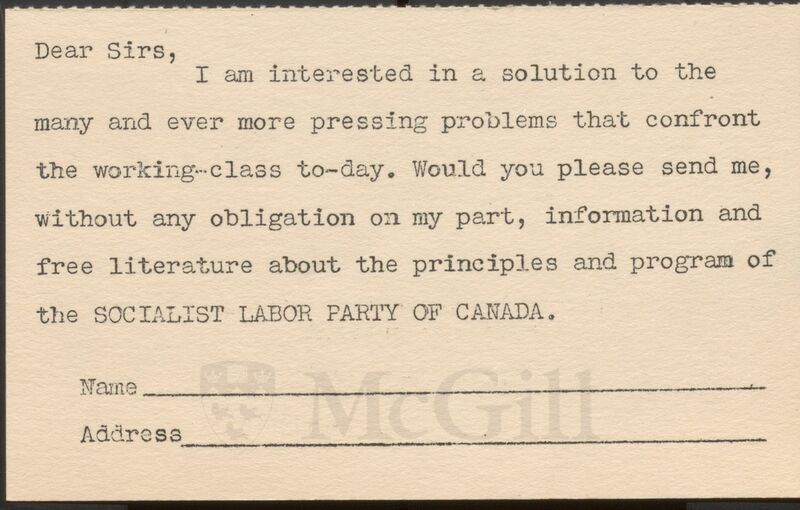 If the day has put you in the spirit, come by and see some of the roots of support for workers here in Canada and around the world from earlier days. 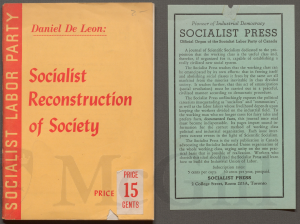 See, for example, Daniel De Leon’s Socialist Reconstruction of Society. Originally delivered as an address to unionists in Chicago in 1905 under the title “The preamble of the Industrial Workers of the World,” the text has been reprinted many times. 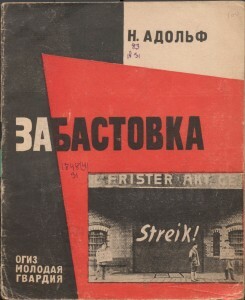 This copy dates from 1944. 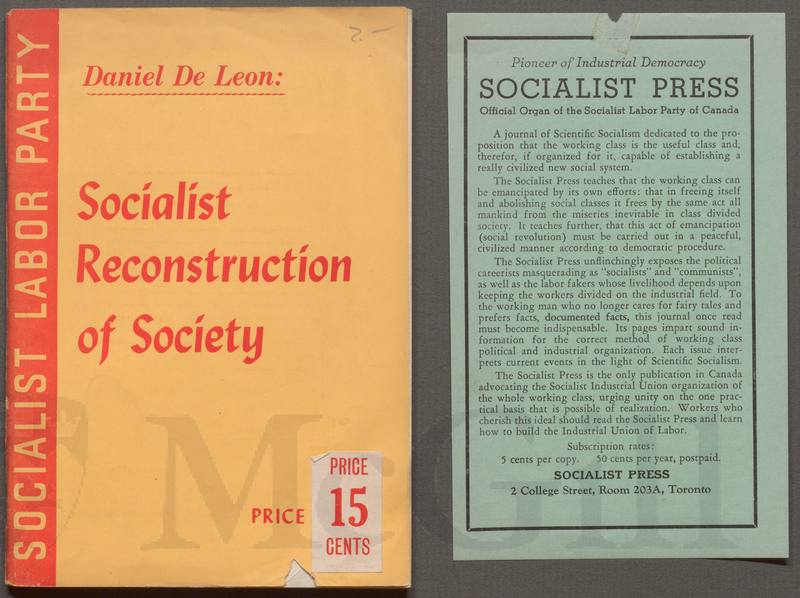 Socialist Reconstruction of Society: the industrial vote, by Daniel De Leon (New York : New York Labor News Co., 1944). HD8055 I5 D4 1944 Rare Books/Special Collections – Lande-Arkin Canadiana. 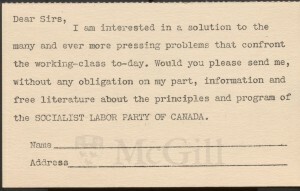 Inserted is a 2-sided flyer for the Socialist Labor Party of Canada.